On Wednesdays after classes at Booker T. Washington High School in 2004, Malika Whitley would jump on a MARTA train to a church in East Point. She’d slip in through the side door or go through the empty main chapel and wind her way downstairs, through a dark dining room and down a long hallway. Homeless and anxious, the then 15-year-old needed a place to herself. Alone in the church basement, she could sing in an empty space as loudly as she wanted. Earlier that year, Whitley had left home when her mother’s battle with schizophrenia and bipolar disorder started to make her feel unsafe. Like other Washington students and hundreds (or even thousands) of young people on any given night across metro Atlanta, Whitley started living on the street, at friends’ houses, or in conference rooms and offices in Georgia State University buildings. When Oglethorpe University offered weekend visits to prospective students, Whitley attended just to have a place to stay. Unoccupied time was “torture,” she says. “If you don’t have enough money to eat, then you’re sitting there thinking about food, or a shower, or home,” she says. “And if you don’t have a way to occupy your mind, then you can really lose yourself.” When not working part-time at Pizza Hut, she would while away hours downtown at the library, the Five Points MARTA station, or in front of a fountain, writing poetry or listening to a CD if she had batteries. Singing in the church—sometimes the same song for four hours—allowed Whitley to cope and build confidence. 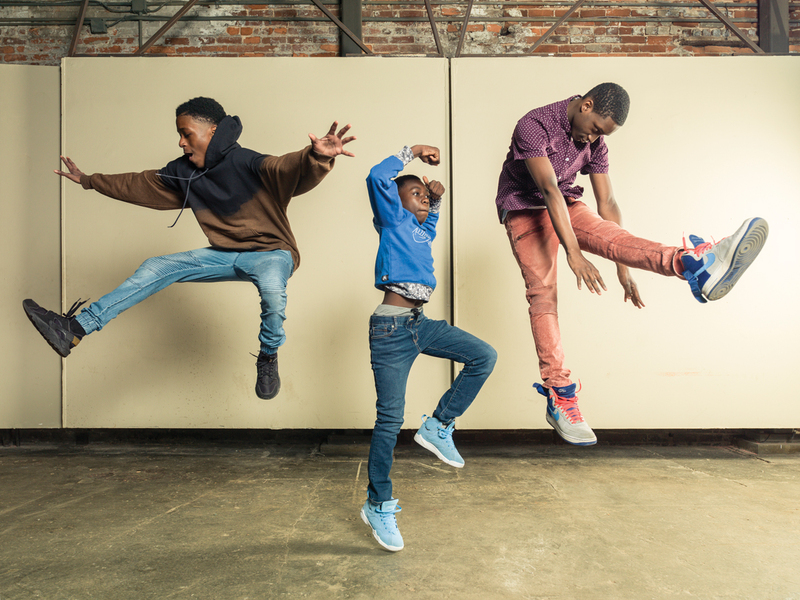 It also planted the seed for ChopArt, a nonprofit that Whitley, now 28, founded to help homeless children and teens find dignity, community, and opportunity through art. Campers in ChopArt’s painting program can sell their work and keep the proceeds. 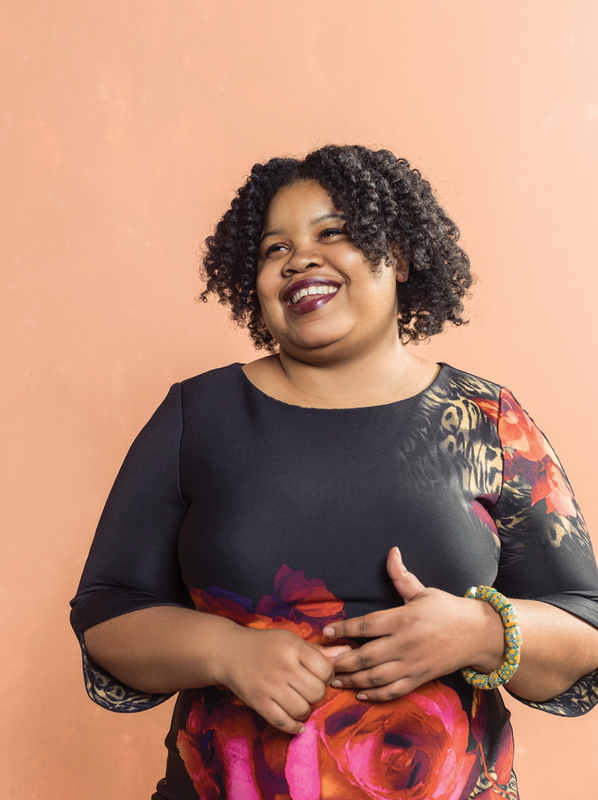 Whitley graduated from high school in 2007 and found herself back at Oglethorpe University, this time with scholarships, which paid her way to a degree in international communications, cultural relations, and social economics. While interning for a music studio in Cape Town, South Africa, in 2010, she started a program connecting young street musicians to industry professionals. During a post-graduate fellowship in India, she expanded the project. Just five years later, the organization now has a budget of $114,000, thanks to funding from MailChimp and Equifax and donations from Binders and Blick art supply stores. 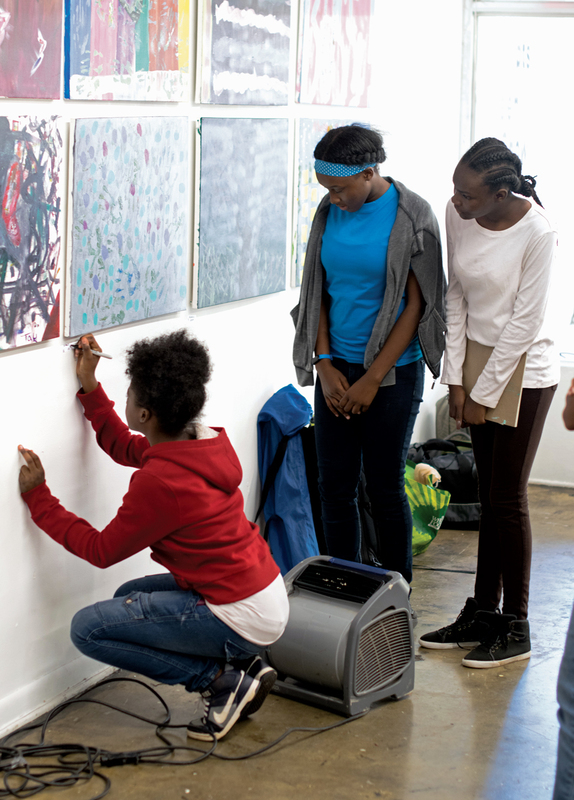 The nonprofit takes art activities—including painting, theater, music, and dance—to teens in shelters year-round in Atlanta and during the summer in Accra, Ghana, and Hyderabad, India. This year, kids will paint bikes that they can keep or sell. Last summer, Whitley says, ChopArt served more than 6,000 kids through age 18 in Atlanta and with partner organizations in Accra and Hyderabad. Tenth-grader Elijah Evans, who once slept on the streets with his mother and brother, has attended ChopArt camps for two summers. Now, he plans to pursue opportunities in music and dance. “The program taught me that life is more what you make of it,” he says. ChopArt campers (left to right) Kevon Smith, Richard Menefee, and Elijah Evans say the program gave them confidence. In Atlanta, Whitley and her staff of five work with four shelters to serve roughly 70-80 teens per week, a fraction of a population that is difficult to track—much less serve—because of its mobility and the privacy restrictions surrounding minors. A 2015 Georgia State University study counted nearly 3,370 kids and young adults ages 14 to 25 in metro Atlanta who were homeless: living in shelters, sleeping in the streets, or staying with friends for extended periods. Among that group are children battling mental illness or addiction issues. Nationwide, an estimated 40 percent of homeless teens identify as LGBTQ, some of whom have been shunned by their families because of their sexual orientation. The City of Atlanta’s Partners for Home and DeKalb County have recognized this crisis and are expanding services for young people struggling with homelessness. However, public agencies focus first on basic challenges like food and shelter. Programs like ChopArt can help homeless youth look forward—tapping into their ambition and creativity, says Eric Wright, the professor who led the GSU study. “As Whitley probably experienced, finding and nurturing their talents can help them not only find a way out of homelessness but also create a life as an adult that’s prosperous and meaningful and fulfilling,” he says. In December, Whitley wrapped up a four-month residency in New York as a TED Fellow, where she learned how to better tell ChopArt’s story. The nonprofit plans to expand to New Orleans, Miami, Memphis, Jackson, Birmingham, and Charlotte. More than 10 years ago in the basement of the church in East Point, such plans would’ve seemed impossible. “Right now, life is kind of a miracle,” Whitley says.